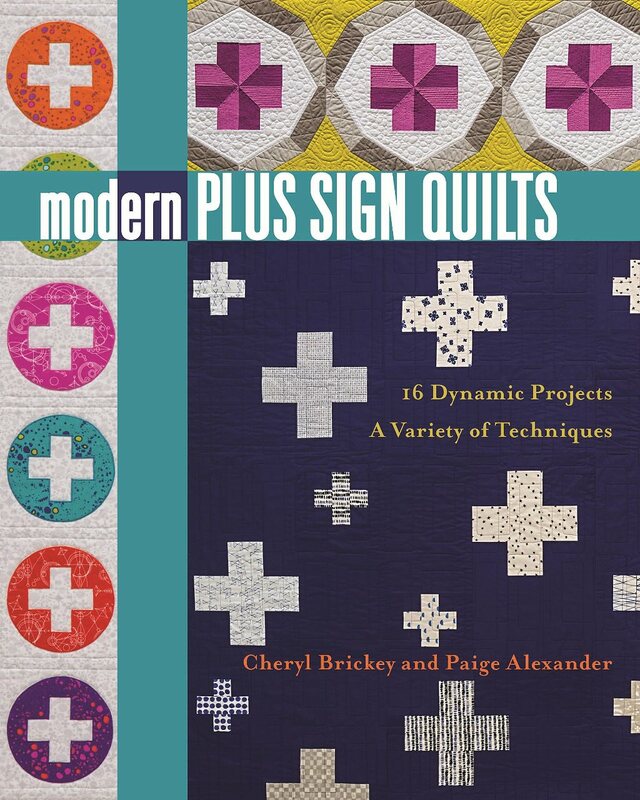 The day has finally arrived to reveal the Modern Plus Sampler based on many of the design elements from the book, Modern Plus Sign Quilts. 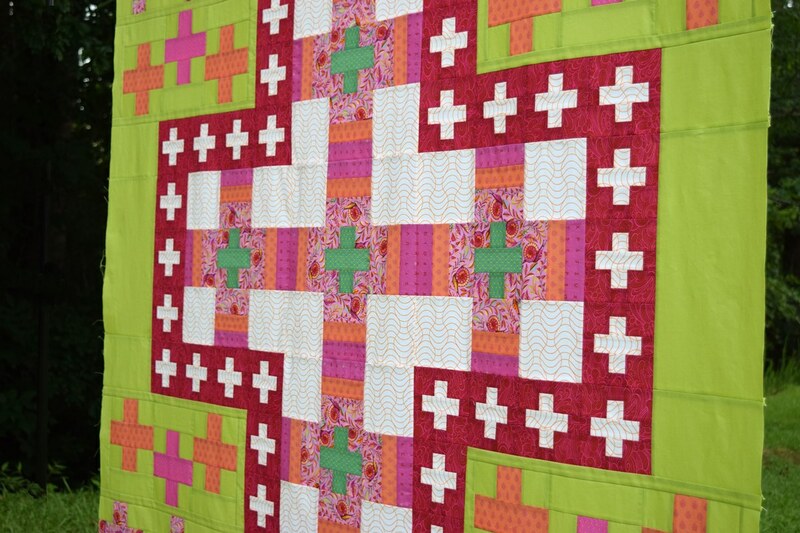 This is just one version, all traditional piecing, I made with mostly Tula Pink fabrics. On July 5th, the fabric requirements and more layout options will be revealed including Cheryl's version she made here which includes some paper piecing and applique. The Modern Plus Sampler Quilt Along posts will be on the first Thursday of every month. 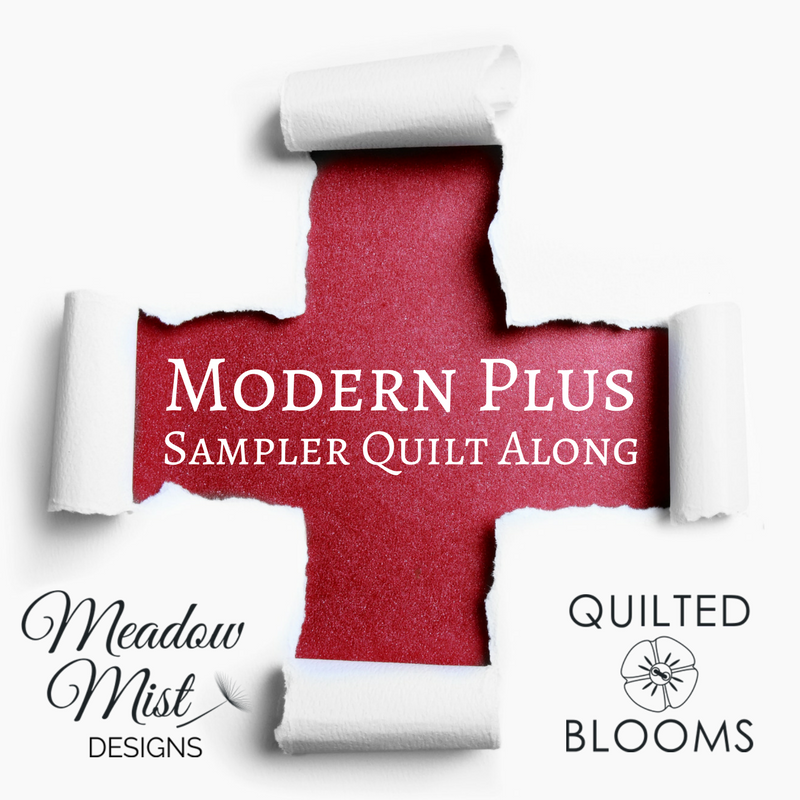 You can always find information on the Modern Plus Sampler QAL page. June 7th - Design revealed today! 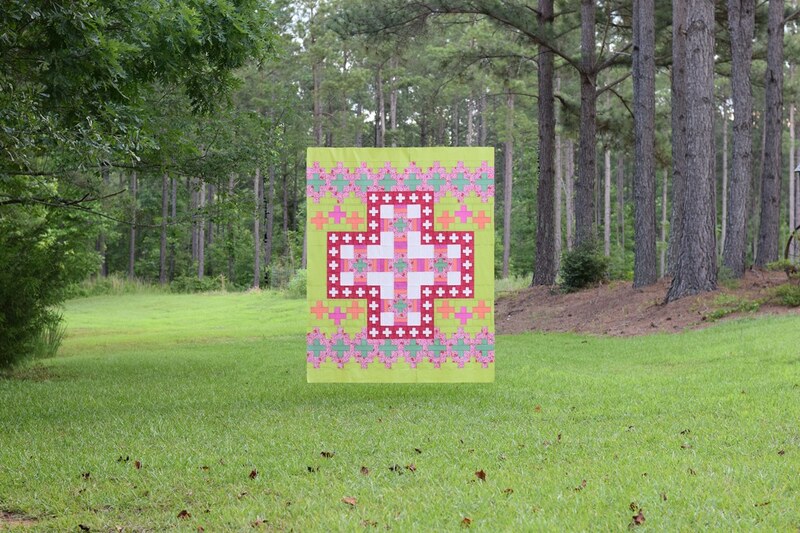 The Modern Plus Sampler is a free quilt-along that will run from July 2018 until April 2019 that uses most of the blocks from the Modern Plus Sign Quilts book all incorporated in to a new lap size, plus sign design. 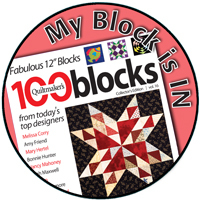 The pattern will be at the confident beginner level with a few more challenging blocks. 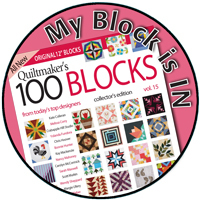 Don't worry if you have questions or get stuck, we will all be quilting together and you can ask me or Cheryl's Facebook group any questions you have along the way. 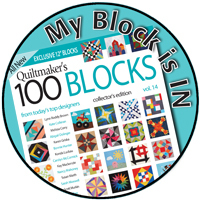 Most of the quilt will be traditionally pieced, but there will be a couple of applique blocks and paper pieced blocks. We encourage you to try these and learn some new skills. If you would like to avoid applique and/or paper piecing, we will be giving alternative instructions to avoid these methods. 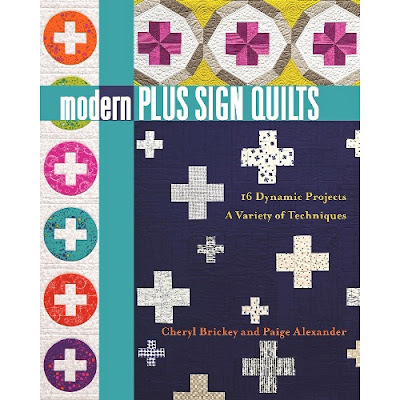 You will need the book, Modern Plus Sign Quilts, in order to quilt along with us as the Modern Plus Sampler includes many design elements from the book. As of today, the Kindle version can be purchased for only $9.99 and the print version for $16.94. Everything is so nice and green after the rain we've been having that my quilt blends right into the landscape. 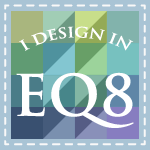 If you have any questions, please email me at QuiltedBlooms (at) gmail.com or leave a comment below. I hope you are planning to join in on the fun and make a Modern Plus Sampler with us! Wow, this is wonderful, but I could not see how the rod holding the quilt was kept so high? Maybe the magic fairies hiding in the trees came to help.Am I right in guessing this is on your own piece of land, and your own trees? Looks lush and green, perfect backdrop for pinks. Thank you, Nancy! We've had a lot rain lately so everything is lush and green just as you say. This was taken in my back yard with loblolly pines in the background. 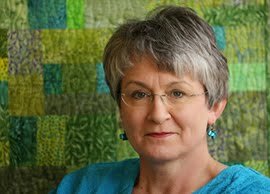 Yes, Gail, the quilting fairies were assisting with the help of Photoshop Elements! Wow, I love it! I can't wait for it to start. What a great design. Thank you for doing this SAL! Beautiful photography. It looks great. I love that you'll have other layout options. What a fun quilt! Like the other commenters, I'm curious how you got that photo to float in that landscape?! Other layout options is a great idea! Beautiful quilt top! I am excited to be able to reveal the design! What a creative design! Who knew you could fit a PLUS design in so many different ways. That is awesome! That looks like a lot of fun and I love the staging of your photograph too. Ooh I've been excited to see the layout reveal! This is really beautiful, and I really want to join. I'm going to be in fabric indecision land for quite awhile, though!! 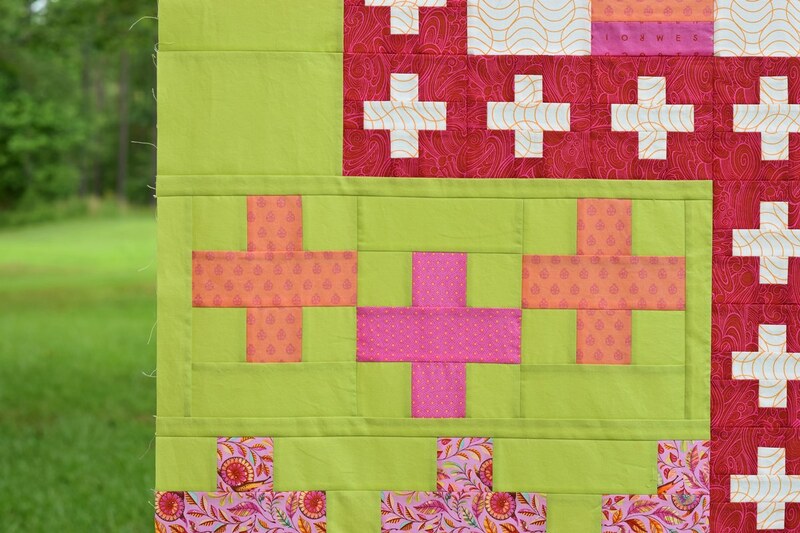 The quilt just glows against the green backdrop, Paige! I love the design and am really excited about the reveal and I am looking forward to getting started. I am continually amazed at your creativity. 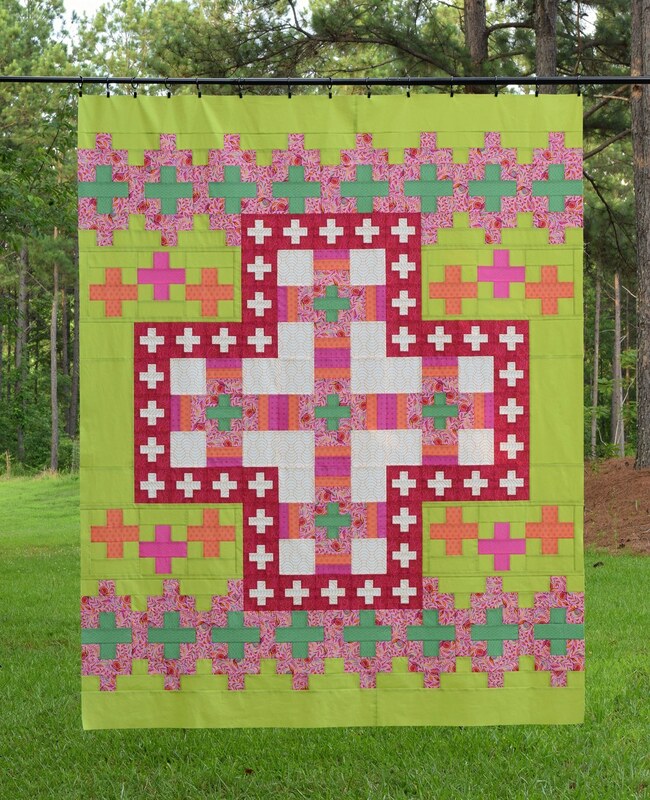 Your version of this quilt is beautiful. Love the colors of this quilt and am looking forward to the quilt along. I'm looking forward to seeing the options you've come up with. 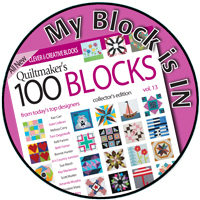 I'm keen to quilt along with you guys! Love the backdrop for the quilt (and the quilt) - these are your woods right? Thanks Sue! Yes, it's my back yard. We've had lots of rain lately so everything lush and green. This is absolutely beautiful! I was planning to tackle the more challenging blocks, but I actually really like this variation that leaves them out. I can't wait to start this quilt along! Like many commenters, I noticed that your quilt seemed to be suspended by magic! Lovely! I love both versions of this quilt. Yours is so pretty. Now I have to decide on fabrics and which version I want to make. I adore both Yours and Cheryl's choices in fabrics...! What to do! Picking out fabrics is so much fun! I’m so excited to join in! I’ve got my book, and have started pulling fabric options. I absolutely ADORE this sampler!!! Thank you! !